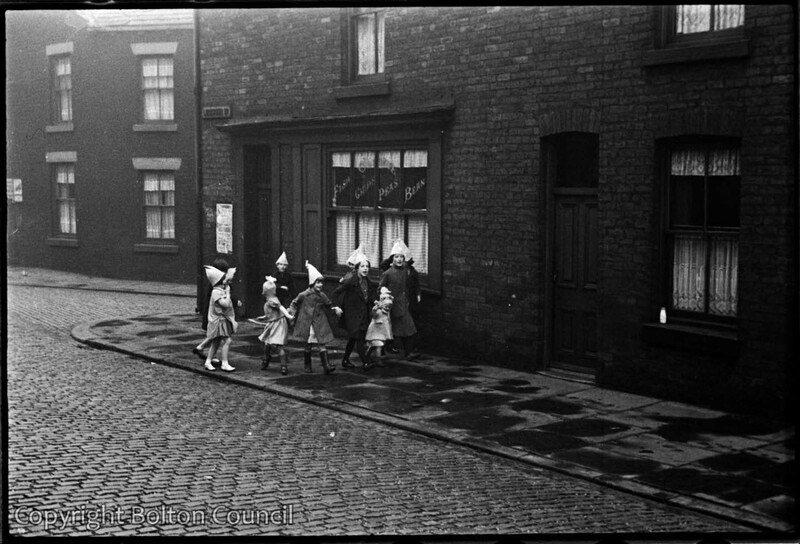 Local children wear paper hats to join in rallies during the local council elections in November 1937. They are on Leicester Street in the Halliwell area of Bolton. The street no longer exists. This corner shop was owned by Jack Horner and Irish Annie and later by Bernard Murphy and Maureen Larkin.